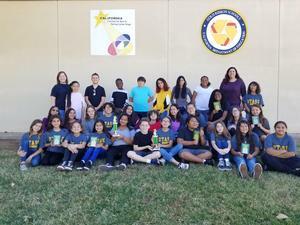 Vista Heights Drama Wins Awards! Congratulations to everyone who participated in the Drama competition on November 3rd.. Vista Heights received awards in 10 out of 11 categories earning an Honorable Mention Sweepstakes award and placed 7th OVERALL out of 21 middle schools. Charisma Sislo for placing 5th in design for Sets and lights. Finally, Elizabeth Mulz, Luke Thompkins and Peyton English for placing 2nd in Large Group Drama.